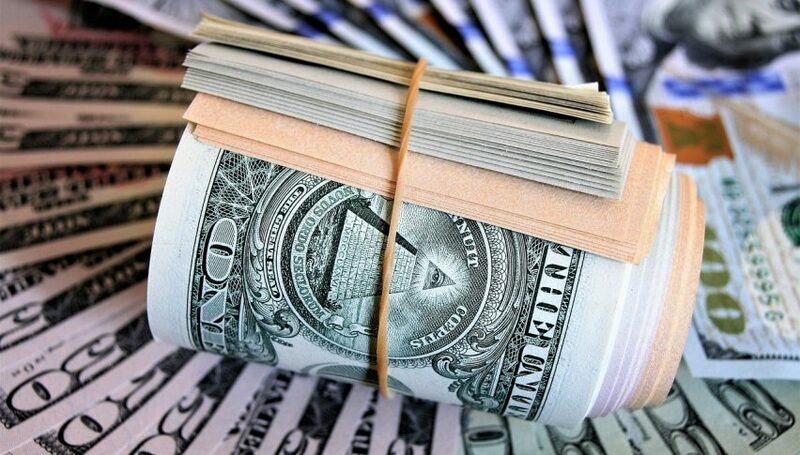 The June USD Index Has Bounced Back From A Dismal Wednesday. 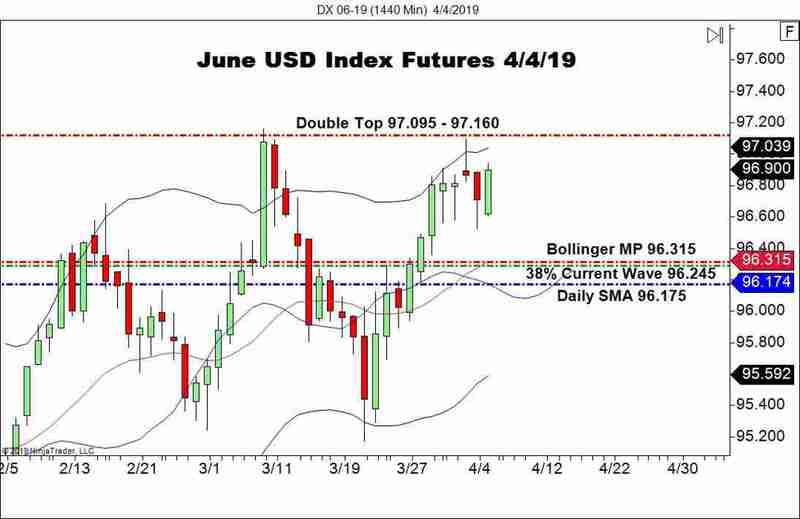 June USD Index futures are putting together a solid session, rebounding from a moderate mid-week slump. At press time (11:30 AM EST), rates are above 96.880 and showing strength. A combination of Brexit worries, strong employment, and the lack of any FED news have benefitted the Greenback. It appears that the USD is the dog-with-the-least-fleas these days on the forex. Brexit concerns have slammed the Euro and Pound Sterling, with the USD attracting investors in the process. With the Brexit Day of 12 April rapidly approaching, the June USD Index is in a position to run at yearly highs. It has been a whipsaw week for the USD Index, featuring very little in the way of a directional move. Price action has been chaotic, rotating around the 96.840 level. Overview: After a rejection of March’s high at 97.160, this market has posted a significant retracement. However, rates remain above the daily 38% Fibonacci level (96.245). This technical element preserves the validity of the daily uptrend. Friday’s Nonfarm Payrolls (March) is going to play a key role in valuations of the Greenback. Experts are projecting the number to jump by more than 160,000 jobs over February. Lofty estimates can be dangerous ― a lagging NFP figure is very likely to send the USD south vs the majors in short order.